-- Jackal's Den 1.13.2 -- 18+ whitelisted vanilla survival server, no map resets, dedicated hardware, large map, and anti-grief. I have not played this game for 3 years now, and would love to play it again. But most servers are full of immature kids and also mostly pay-to-win..
Would love to play on this server, but it's such a shame there are not many playing on the server. I guess I will never play this game again. DNGR, One of our goals for the server to keep a cap on how many active members we have going at once. We currently have 34 active players and our cap is around 70. We have no Pay-to-win garbage and there are no kids here. We'd love to have you join. 5) Our members read these applications, so simply tell us a little about yourself: Pretty sure my username says one thing about me. But other than that... Just your normal chilled gamer. Oh I am one of the rare few who hates skyrim. That count as something? lol. If the map is never reset, how do you get to utilize the new 1.13 features and such? Well. For starts the map is massive. Lots of unexplored land. And we have dynmap so we can see what's been explored. The nether hub network makes it easy to get around. With the map being 5 years old, it's fair to say that whatever you build is here to stay. Whitelisted! Welcome to the server. Whitelisted! Welcome to the community. 4) What tool do you use to claim land here? Wooden shovels by right clicking two opposing corners to create a square area? 5) Our members read these applications, so simply tell us a little about yourself: I recently decided to go back to school for my bachelor's in computer science, so that's exciting. Other than that I'm just a boring gamer that's been addicted to Minecraft on and off for over 7 years. Whitelisted! Yep that's how the claims work. Pretty simple. Also if you need more claim blocks just ping me! Welcome to the server! 5) Our members read these applications, so simply tell us a little about yourself: I'm a simple guy that lives in Sweden, and I like to play games on a small scale because I work a lot but kinda want something to do during days off and weekends. 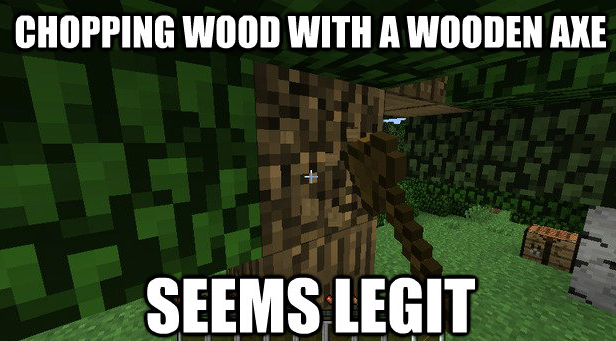 Do you have a life away from Minecraft? I have a gf and two jobs. I deliver pizzas and wipe asses for a living, but not both at once. Anything else about yourself goes here: Played a lot of minecraft when I was younger, and I ran a few smaller Bukkit servers with Vanilla gameplay. Fluent in English, but not a native speaker. Swedish. 5) Our members read these applications, so simply tell us a little about yourself: well, I'm currently studying software development in my freshman year and I love to tinker with electronics and make my ideas come to life, but only when I actually have time off from work. Whitelisted. Sorry for the wait. Welcome! 2) What is your in-game name? 3) How did you find out about Jackal's Den? 4) What tool do you use to claim land here?